1. TWITTER IS DANGEROUS. Twitter has obviously failed to protect millions of innocent users. Cyber-bullying/criminal harassment and suicides have been directly linked to Twitter's unique capabilities. Further, defamation placed on Twitter can be found on search engines, ruining reputations and employment prospects for tens of millions of citizens around the world. Twitter's 10-year responses to these horrors have been entirely inadequate. 2. LACK OF APPROPRIATE WARNING. The potential dangers of using Twitter are not displayed on the Twitter sign-up page, which instead refers to a legalistic terms of service page which essentially absolves Twitter of responsibility. Users, particularly teenagers, are unlikely to understand the terms of service page. THE ACTUAL DANGERS OF USING TWITTER, INCLUDING THE SUFFERING OF PERSONAL TERROR, MUST BE DISPLAYED AS A WARNING IN LARGE PRINT ON THE SIGN-UP AND SIGN-IN PAGES. This demand is entirely reasonable and in-line with other goods and services which pose a risk to the public good. 3. PREJUDICED POLITICAL ACTOR. Twitter is alleged by legitimate news outlets of acting upon apparent political prejudices harbored by Twitter's executives, manifested by wilfully enabling censorship and criminal harassment. There is much apparent evidence supporting such allegations. 4. NO LEGAL PROTECTION. By selectively editing the content of Twitter users with social and political double standards, it is our opinion and the opinion of experts that Twitter has abandoned its legal protection as a neutral social media service, making Twitter culpable for criminal harassment and resulting personal tragedies stemming from use, apparently now numbering in the many millions. 5. STRAINING RELATIONS WITH OVERSEAS ALLIES. Twitter has ignored court orders from overseas U.S. allies to cooperate in criminal investigations stemming from Twitter abuse. Ignoring legal demands from allies badly represents the United States. Important U.S. allies are helpless to act because Twitter is a U.S. Corporation and Twitter can therefore harm our allies while ignoring our allies' demands for legal recourse. 6. U.S. GOVERNMENT RESPONSIBILITY. By failing to enact Congressional oversight authority over public companies, regarding Twitter, specifically, the U.S. Government takes on the appearance of an irresponsible actor on the world stage. 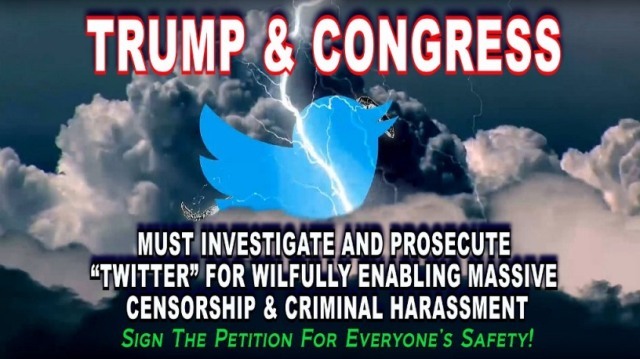 In our opinion, all U.S. Government powers must take immediate action to investigate Twitter, end the problems caused by Twitter and arrest, prosecute and convict all criminal actors using Twitter and who may be working within the operation of the social media service Twitter. 7. ONLY GOOD INTENTIONS. Our only purpose in signing this petition is to very significantly enhance public safety and protect all people from harm caused by Twitter in its current form. We stand together in demanding U.S. Government intervention regarding Twitter for the protection of all citizens in the U.S. and around the world from criminal harassment and personal destruction enabled, accidentally or otherwise, by Twitter. **NOTE: Every effort we do online is heavily censored, including getting this petition out. I recently reinstated it and changed the title considering the horrible events going on. 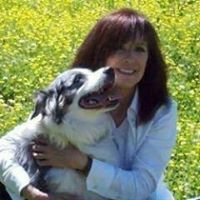 Please share this petition with everyone you can, anyway you can. Thank You! 1. TWITTER IS DANGEROUS. Twitter has obviously failed to protect millions of innocent users. Cyberbullying / criminal harassment and suicides have been directly linked to Twitter's unique capabilities. Further, defamation placed on Twitter can be found on search engines, ruining reputations and employment prospects for tens of millions of citizens around the world. Twitter's 10-year responses to these horrors have been entirely inadequate. To be searchable within WhiteHouse.gov, a petition must reach 150 signatures within 30 days and reach 100,000 signatures within 30 days to require a response. The left has petitions against President Trump and demands that Twitter ban his account with tens of thousands of signatures. We support President Trumps tweets and TWITTER is censoring supporters. Since our petition is censored also, please re-post it everywhere and ask others to sign BOTH. UPDATE! This petition has recently been reinstated and the title changed considering the horrible current events and attacks on Rep Scalise and our GOP Congressman . Twitter is complicit by feeding the left-wing hate and in my opinion, based on experience, also colludes with the other Silicon Valley left wing, social media 'swamp creature' giants that are silencing conservative, Christian, Trump supporters. PLEASE help get this petition out, it is being censored online. ©2017 Intermarkets, Inc. All Rights Reserved. StandUnited is a service mark of Intermarkets, Inc.